Embark on a dramatic jouney through the brutal battlefields of World War 2. 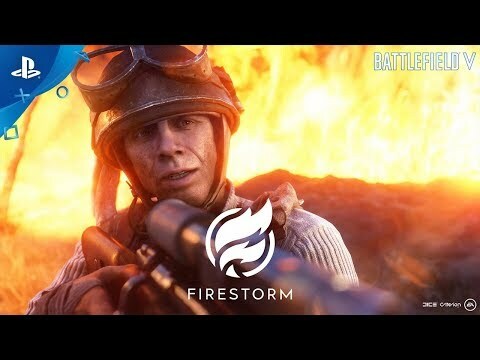 With Battlefield V, DICE returns to its roots and the era that started the franchise - World War II - aiming to deliver a Second World War FPS experience unlike any other. Characters, locations and weapons of war are all brought to life through state of the art graphic technology and a cutting-edge multiplayer experience. Inspired by the lost pages of history, Battlefield V immerses you in WW2 action – from paratrooper assaults to tank warfare – in battles that were pivotal, though sometimes forgotten, in the early days of the war. Scavenge and fight to survive in Battlefield V's 64-player battle royale experience, joining classic multiplayer and campaign modes as a free update for all players. Parachute into battle on your own or with a squad of up to three friends and wage war on land, sea and in the air as an enormous, impassable ring of fire slowly closes in on you and your enemies. You’ll need to scavenge to survive – weapons, gadgets, armour and even combat vehicles are all yours for the taking. Find everything you need from gadgets to grenades, healing items to helicopters – even call down an artillery strike to rain glorious destruction on your foes. Scavenge, fight and survive to become the last ones standing. This is battle royale, reimagined for Battlefield. Create and customise your company's soldiers, weapons and vehicles. From the signature multiplayer modes to the cooperative 'Combined Arms', your company always stands with you – ready to fight – and evolves with you on your journey. 'Tides of War' brings new battles, fronts and rewards to chart your company's journey through the battlefields of World War 2. 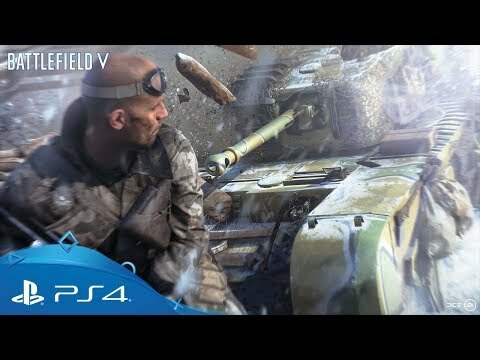 Beginning with the fall of major European nations and leading you deeper into the conflict, Tides of War make Battlefield V an ongoing voyage. Utilise the battlefield in a multitude of unexpected ways to lead your squad to victory. Build fortifications, repair war-torn structures or tow stationary weapons to maximize your team's devastating firepower, making squad-play deeper and more rewarding than ever. 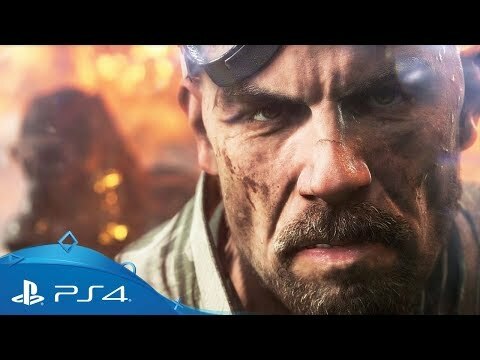 The complete launch trailer with new footage of mulitplayer, campaign modes and more. A full tour of Battlefield V's launch multiplayer maps. 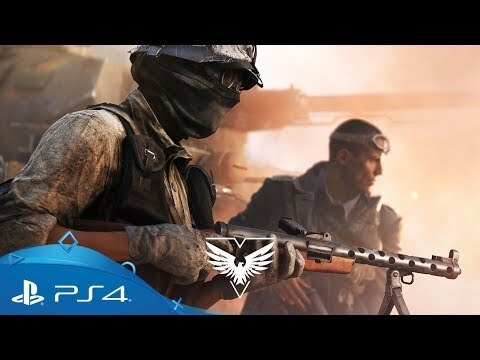 Pre-order the game to get early access to the Battlefield V open beta, one additional Special Soldier Set, as well as immediate access to five Battlefield 1 weapons. 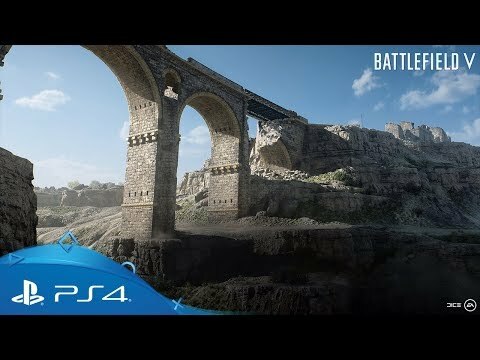 The base game of Battlefield V. As you fight in epic, unexpected locations across the globe, enjoy the richest and most immersive Battlefield yet. 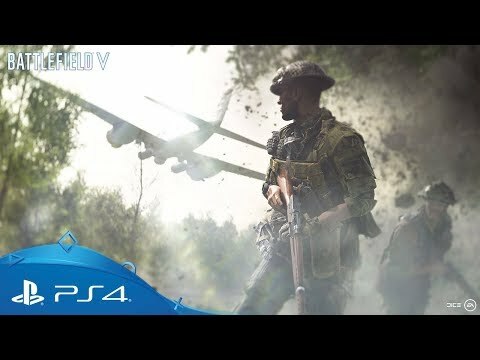 All the contents of the base game plus early access to Battlefield V, five sets of paratrooper outfits, special and starter assignments, as well as 20 weekly customisation items with Airlift. Looking for great FPS games?